Do you offer special services for businesses? How can I get my book in the store? Can I reserve space in the store? “True belonging doesn’t require us to change who we are. 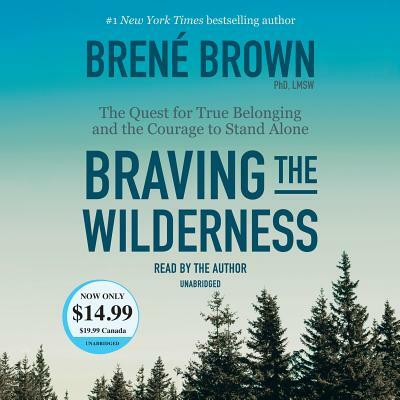 It requires us to be who we are.” Social scientist Brené Brown, PhD, LMSW, has sparked a global conversation about the experiences that bring meaning to our lives—experiences of courage, vulnerability, love, belonging, shame, and empathy. In Braving the Wilderness, Brown redefines what it means to truly belong in an age of increased polarization. With her trademark mix of research, storytelling, and honesty, Brown will again change the cultural conversation while mapping a clear path to true belonging. BRENE BROWN, Ph.D., LMSW, is a research professor at the University of Houston where she holds the Huffington Brené Brown Endowed Chair at The Graduate College of Social Work. She has spent the past fifteen years studying courage, vulnerability, shame, and empathy and is the author of three #1 New York Times bestsellers - The Gifts of Imperfection, Daring Greatly, and Rising Strong. Her TED talk - The Power of Vulnerability - is one of the top five most viewed TED talks in the world with over 25 million views. Brené is the Founder and CEO of both COURAGEworks - an online learning platform that offers classes for individuals and families on braver living and loving, and BRAVE LEADERS INC - a platform that brings her latest research on leadership development and culture change to teams, leaders, entrepreneurs, change makers, and culture shifters. Brené lives in Houston, Texas with her husband, Steve, and their children Ellen and Charlie. Keele Burgin -- "Wholly Unraveled"
Roger Lipsey -- "Gurdjieff Reconsidered"